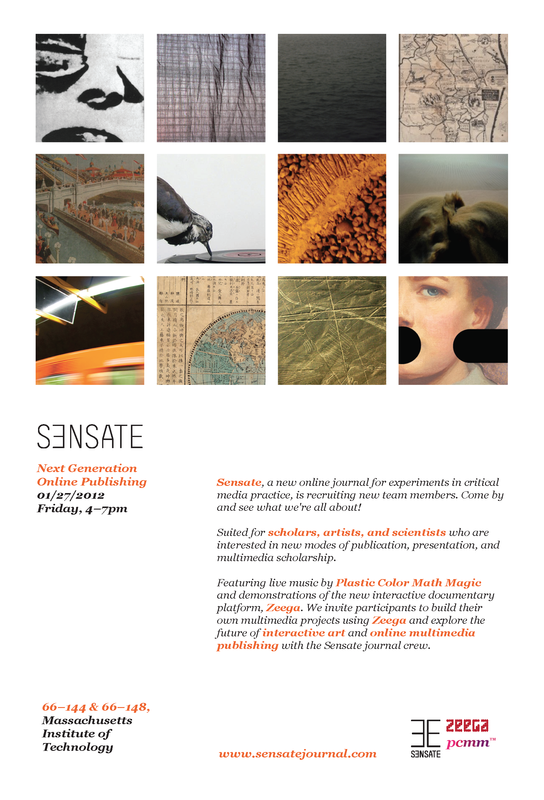 Sensate, a new online journal for experiments in critical media practice, is currently recruiting new team members. Come by and see what we’re all about! Suited for scholars, artists, and scientists who are interested in new modes of publication, presentation, and multimedia scholarship. Stop in anytime between 4 and 7pm. This workshop will feature live music by Plastic Color Math Magic and demonstrations of the new interactive documentary platform, Zeega. We invite participants to build their own multimedia projects using Zeega and explore the future of interactive art and online multimedia publishing with the Sensate journal crew.